1. Refinance- Avoiding foreclosure is a common topic today, and if you have lost your job then foreclosure may be a very real possibility unless you know some of the industry secrets. There are thousands of foreclosures in Michigan, Georgia, California, and the other forty seven states, but refinancing your home can help lower your monthly payments and avoid any foreclosure activity on your home. 2. Chapter 13 Bankruptcy- Buying a house after foreclosure is popular, because of the greatly lowered asking price, but usually both the bank and homeowner lose out with this method. A better option may be to file for Chapter 13 bankruptcy, so that your debts are reorganized and your payments are lower while you still keep your home. 3. Loan Modification- If you have lost your job and are avoiding foreclosure activity then a loan modification may be able to help. Every homeowner will not qualify for a modification but many will, and this changes your mortgage contract so that you can stay in the home and continue paying it off. 4. Forbearance- With all of the pre foreclosure listings across the country foreclosure is a very real possibility for many Americans. Forbearance may be arranged in many cases though, and this method allows you to pay less than the full mortgage payment amount for a short time without starting foreclosure proceedings to take your home. 5. Government Mortgage Assistance Programs- There are mortgage assistance programs through the federal government, as well as some that are offered by certain state, which can help in avoiding foreclosure. Not all lenders will offer these programs though, and not every homeowner will qualify. 6. Sell The Home- Selling the home and paying off the mortgage can prevent Atlanta foreclosures, as well as those in every other city in the USA, but with the slow housing market this step may take some time. 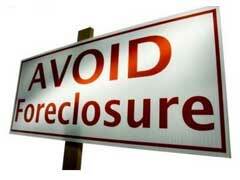 This method will still result in the loss of your home, but without the negative consequences of a foreclosure. 7. Short Payoff- Some lenders will allow a short payoff as a method of avoiding foreclosure. This involves placing your home on the market in an attempt to sell it for the remaining mortgage balance. If the home sells for less than this amount, and it was on the market for the required time, then some lenders will agree to take the sale amount as the full payment for the remaining mortgage balance even though it is less than the full amount owed.